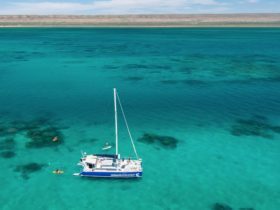 Ningaloo Whaleshark n Dive offers a dedicated live aboard modern vessel that can take you on an extended trip to the areas around Exmouth and beyond. They really are the one-stop shop for all your holiday needs. 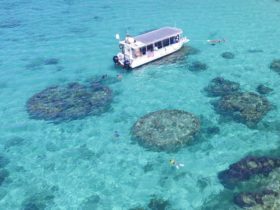 World-famous Navy Pier Dives, Ningaloo Reef Dives, Muiron Islands Day Trips, Whaleshark Tours, Manta Ray Snorkel Tours, Humpback Whale Watching, PADI Learn to Dive Courses, Sunset cruises, Holiday Park, plus much more. At Ningaloo Whaleshark n Dive, they provide the highest level of customer service. They only employ experienced, professional staff and use quality well maintained equipment. Ningaloo Whaleshark n Dive offer PADI courses, from the beginner open water courses up to dive master and speciality courses. Manuals and exams are available in English, German, Japanese, Dutch, Italian and more. 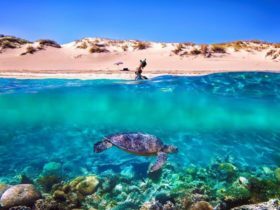 They have daily dive trips to destinations such as the Ningaloo Reef, The Muiron Islands, and The Navy Pier – rated as one of the top 10 shore dive sites in Australia, is also available for booking. Join them for a tour with the majestic whale shark which visits West Australian waters during April through July. Every dive is accompanied by experienced PADI dive masters and PADI instructors. During August to October the pods of Humpback Whales visit Exmouth Gulf with their calves as the head south back to the feeding grounds of Antarctica. This is an amazing experience as you watch the whales playing tail slapping and breaching in the clear calm waters of the Exmouth Gulf. After this wonderful display of nature it is then time to watch the sunset over the Cape Range National Park. Divers and snorkelers alike can take a journey to the stunning Muiron Islands. The waters surrounding the Muiron Islands are full of hard and soft corals of amazing colours and shapes. 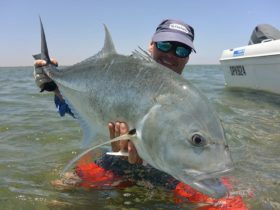 Imagine three metre high coral boulders, locally known as “Bommies” having brightly coloured fish orbiting their brown mass. Pockets of staghorn and mounds of coral attract a huge array of tropical species, as well as spontaneous appearances from larger creatures such as manta rays, potato cod, giant loggerhead turtles, reef sharks to name but a few. Let their fully experienced PADI dive masters and instructors take you on a day to remember. Enjoy a delicious buffet lunch after the mornings diving activities, then snorkel Turtle Bay or just relax and sun bathe on one of the sun decks before making your journey back to Exmouth returning at 4:30pm. Please advise if you have any special dietary needs. Never tried diving before? Contact them for further information if you would like to give it a go! On Mondays, Tuesdays, Thursdays and Saturdays divers of all levels can take a journey with us to the Ningaloo Reef. The largest fringing reef system supports hundreds of different species of fish and coral. Manta rays, potato cods, green turtles, moray eels, lion fish and wobbegong shark are some of the many species the Ningaloo Reef has to offer. Let their fully experienced PADI dive masters and instructors take you on a day to remember. 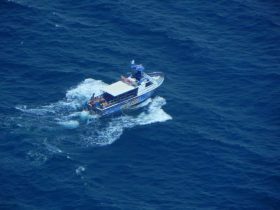 All equipment, two dives, light snacks and refreshments are fully catered for. Please advise if you have any special dietary needs. From April through June/July the whale shark spectacle takes over and the Ningaloo Reef becomes the world headquarters to the largest fish in the ocean. The coral spawning, usually taking place seven to 10 days after the full moon in March and April and sets the stage for the arrival of the giant whale shark. Divers and snorkelers alike travel from all corners of the globe to snorkel with these gentle giants as they cruise along the Ningaloo Reef feeding on plankton. Let Ningaloo Whaleshark n Dive take you on an adventure with these beautiful and majestic creatures. Travel in comfort and style aboard the fastest vessel in Exmouth ‘Seaspray’ or 50 foot Cougar Cat, and join their friendly and fun PADI professionals for a day of snorkelling. Refreshments, snacks and gourmet buffet lunch to suit all tastes available throughout the day. Special dietary requirements can be catered for with prior notice. 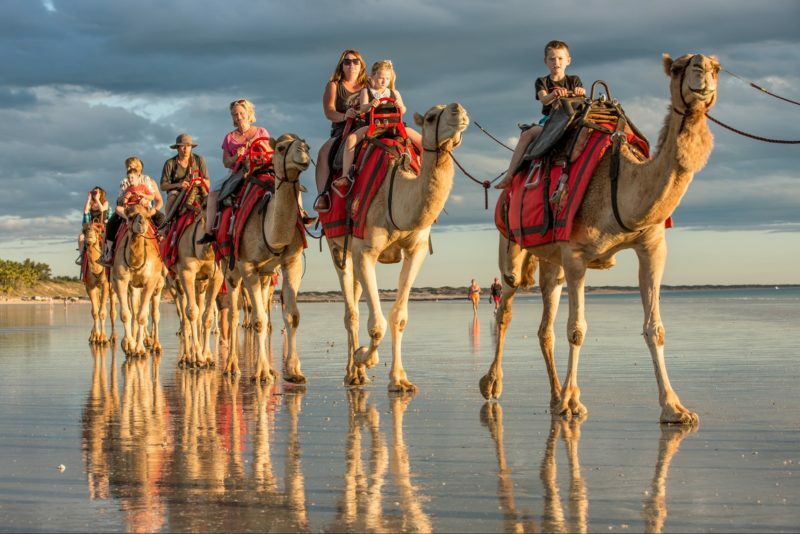 Included in ticket price are all transfers, all meals, all equipment, marine park fees, spotter plane in the air for four to six hours, professional videographer on board to capture your day!